I wore this for a little bit of shopping with my friend. 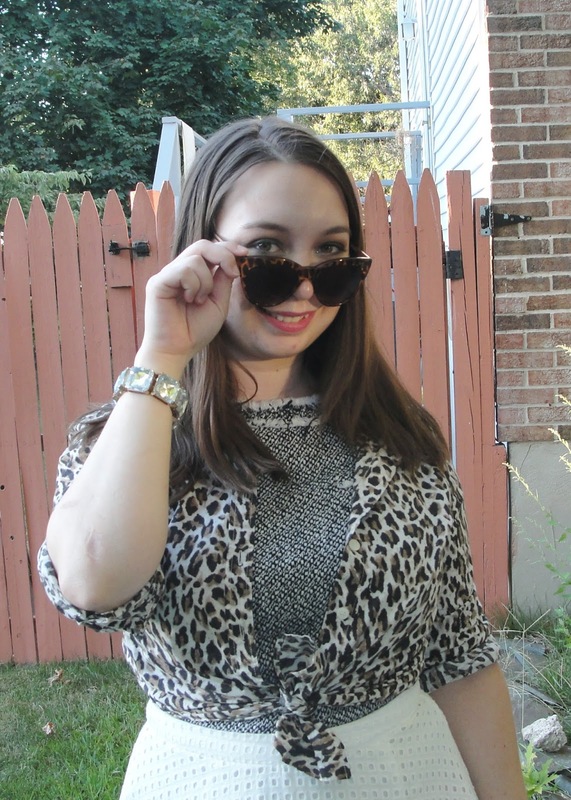 I layered the leopard shirt over the tweed tee because I wanted a light layer. I've been wearing this skirt a ton. I'm not sure how much I'll wear it in the winter so I'm trying to get a lot of wear out of it before it's time for tights. Looooove the pops of color! Absolutely perfect! What a fun way to add leopard to an outfit & perfect for layering come fall! What a great layering idea! And I love your print mixing. Very cute! Love your layers! What a fabulous combination of color and texture! I would have never thought to pair tweed and eyelet together! Such a fun outfit! I absolutely love how you mixed different textures. I'm going to try that!! I love this feminine skirt! Your accessories are so chic too! Loving these layers, and the pop of pink in the flats is too perfect! You look awesome!I love your outfit. 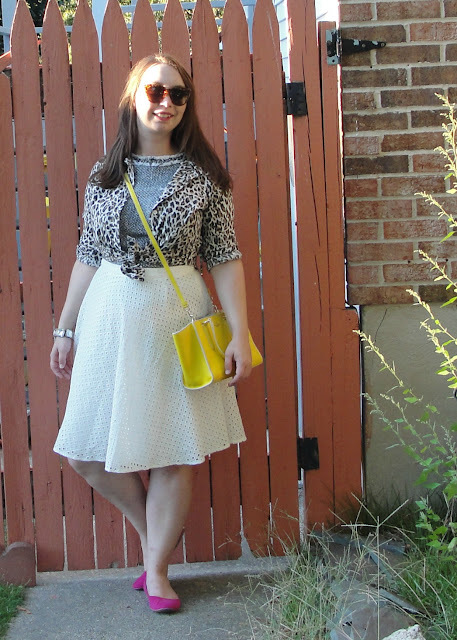 Love how you styled that white skirt for Fall - smart! I love layers in the Fall! That bag is super cute! Love the skirt and leopard print together!